I’m professional headshot Photographer Laura Pearman. I love working with entrepreneurs switched on to personal branding. 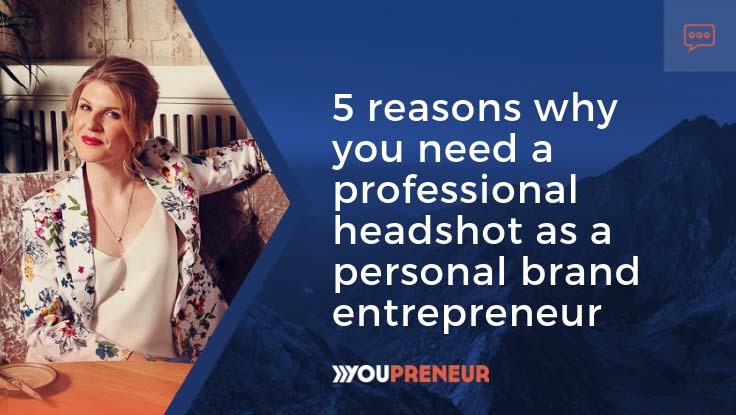 Today, I’m sharing my top five reasons why you have to get on board with professional headshots as a personal brand entrepreneur. People want to know that they can trust who they’re buying from. The best way to build trust and authority is through professional headshots. People want to be able to look into your eyes before they send you money. I’m not saying every headshot of you out there on the internet should be you staring intensely down the lens. I’m saying begin by having a small selection of well-lit open-faced pro headshots. Expect to shoot in a variety of poses and locations. The goal for shooting in this manner is to get you relaxed and to have diverse choices when it comes to editing – AKA picking the photos that make the final collection before retouching. If you have them, look at your pro headshots collection now. Are there some open-faced eye-to-lens ones? Pick one of these as your social media profile picture. Keep arty and personality-filled ones for your other online needs. A new contact wants to find you open, happy and ready to do business. Photographically speaking this means anything shadowy, or obtuse will ring a tiny little subconscious bell of uncertainty. There is a chance that this uncertainty could end up being the difference between them sticking around to give you their business or continuing their search for someone else. Chris Ducker shot by photographer Laura Pearman. I switched to a personal brand before I joined Youpreneur (sorry Chris). I was tired of playing the part of what a professional photographer ought to be. The minute I was the real me through my branding was the same time I lost those time-wasting clients and began attracting dream clients. I was able to “click with” them and deliver the headshots they wanted. They dug my style, didn’t mind I occasionally swear and most importantly, they respected my advice as their go-to pro headshots photographer. We all have our secret guilty pleasures. Authenticity isn’t that. 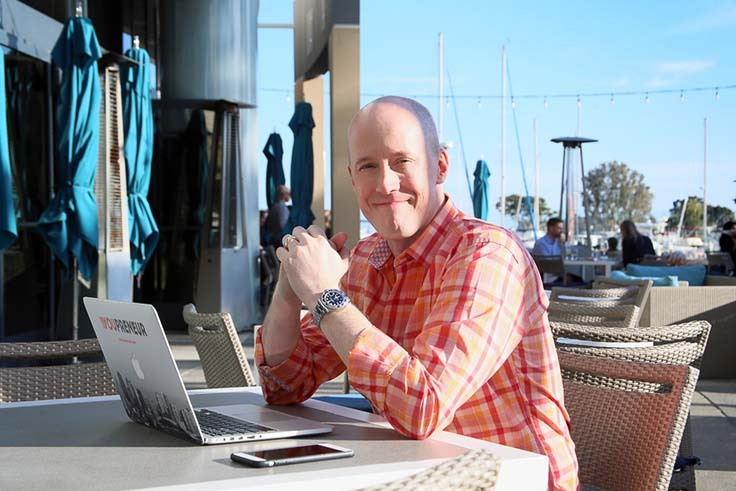 Blending the boundaries between how you show up in person when doing business and the impression people get when they see you online is the sweet spot. 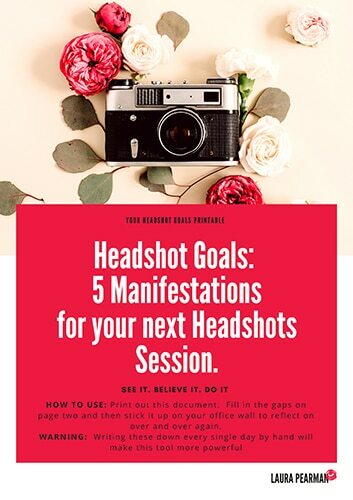 The true magic of a great headshot is to give your clients and followers a taste of what it’s like to be around you, work with you and learn from you – like a personality amuse-bouche. You may be thinking “Laura, I’m not interesting!”, “I don’t have a great personality, so I’m sticking with my faceless brand.” First of all, I don’t believe you. I think you’re just a little shy. Secondly, if you’re 100% right and you are so dull people run a mile to avoid having dinner with you, then, ok but remember: it’s your unique and special attributes that you want to shine in your headshots. When I refer to “style” I’m not referring to the branded clothes you wear. It’s wider, it’s how you do what you do. As an expert and Youpreneur, I’m willing to bet you have developed your own special delivery to clients. It’s taken you years of experience. Sure, it involved some mistakes along the way, but the way you do what you do is unique and filled with your personal style. Like most things in business, diving deep and focusing time, money and attention will likely result in you solving a problem for a longer period of time. It’s the same with your pro headshots. When you have a bank of professionally shot headshots saved on your hard drive, nested alongside a legally sound license, it’s taken care of. You don’t need to worry about it again until your photographer tells you it’s time to refresh things. When you’re submitting pitches to the press, contributing to that blog, or making a guest appearance on that podcast or vlog show: chill! You don’t have to frantically rush around through your Corfu 2013 photographs for an hour, trying to pick out “something that’ll do”. Every. Single. Time. 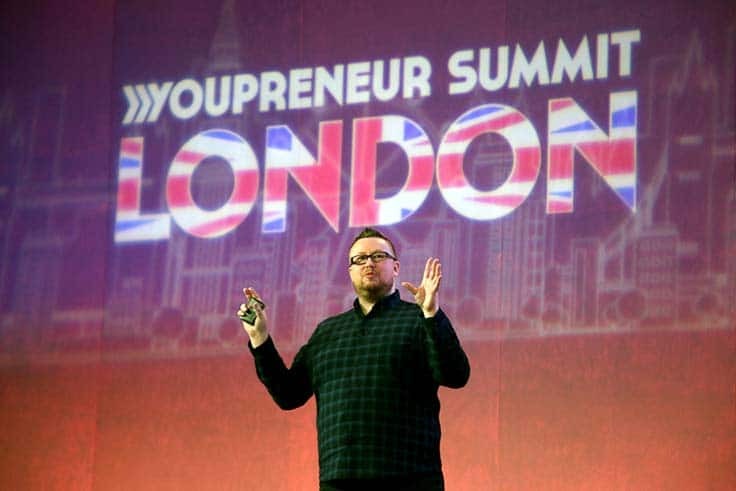 Mike Morrison shot by photographer Laura Pearman at the Youpreneur Summit. Even though you might have some confidence niggles on the day, a great headshot will help you overcome those issues; being in friend’s wedding pictures from now on will be a cinch and taking selfies with the kids will be fun! The investment of time and money on professional headshots can build your reputation – you can make your peers “swan neck” at what you’re up to; make your tribe fall in love with you by showing some behind-the-scenes vulnerability. Played right, your next pro headshots session could end up being the best marketing activity you carry out this year. If you love having your goals and manifestations up on your office wall, take this and print it out. Keep looking back at your next headshots goals next time you spin around in your chair during a mini dance break with your air guitar. Nah, I didn’t think so! 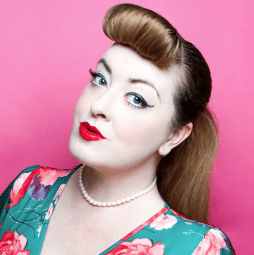 Laura is a professional headshots photographer based in the North East UK. She shoots at a lot of conferences around the world to capture professional speakers on stage and is currently working on her 1st Pro Exhibition. Laura is also developing her own Online Selfie Skool, a place where you can hone your selfie skills and confidence at the same time.